Deb is a retired law partner from Farella Braun + Martel’s Environmental Law Department and Tax-Exempt Organization Practice Group in San Francisco. 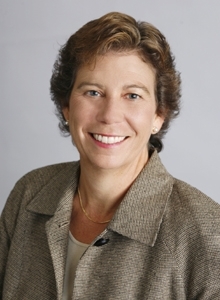 Prior to her practice at Farella, Deb served as the Gordon & Betty Moore Foundation’s first Director of Grant Administration, and several years later transitioned to the Foundation’s Associate General Counsel and Chief Compliance Officer role. At Moore, she was primarily responsible for the Foundation’s day-to-day legal matters, compliance programs, organizational and Board governance, and regulatory filings. She has taught and lectured on a variety of environmental law and nonprofit topics at institutions of higher learning and national conferences. Deb serves on several nonprofit boards, including Maya Center for Rural Education and Well-Being (www.MayaCREW.org), which she co-founded over 12 years ago. MayaCREW supports K-12 education for indigenous girls in rural Guatemala. She serves on the board of the Community Alliance with Family Farmers in California (www.CAFF.org), is President of her local church council, and will soon be a retiring Council member for the American Bar Association’s Section on Environment, Energy and Resources. She can be reached at debtellier@outlook.com, or by phone at 925-348-0291.